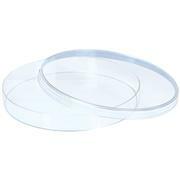 Durable construction for stable dish manipulation Crystal-grade polystyrene for optical clarity Sterilized by gamma irradiation Easy-Grip style dishes provide convenient and secure handling. 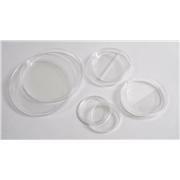 Tight-Fit lid dishes minimize sample dehydration. 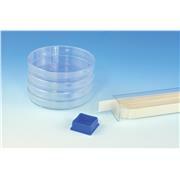 … Suitable for 47 mm membrane filters, these 9 x 50-mm polystyrene dishes are pre-sterilized and disposable. 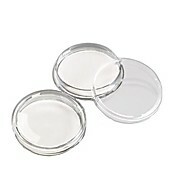 Double rim ensures tight seal. 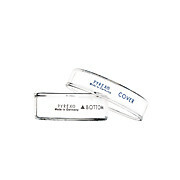 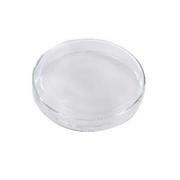 An area of the lid is frosted for identification. 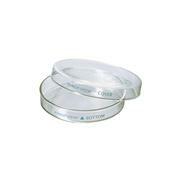 Dishes are compatible with 47 mm membrane filters. 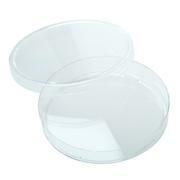 Petri dishes are available with or without pads. 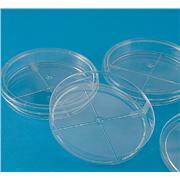 Made from high quality borosilicate glass, these autoclavable, flat, clear Petri dishes can withstand repeated sterilization and can be used many times. 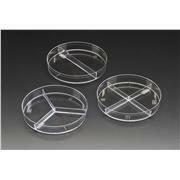 Each dish includes a lid. 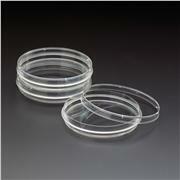 Note: Lid does not seal air tight. 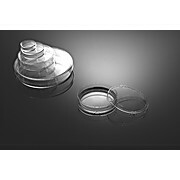 Easy stacking Vented for better gas exchange Manufactured from crystal polystyrene for optimal analysis by microscopy Diameter: 35 mm; height: 10 mm For Research Use Only. 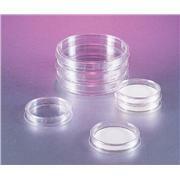 Not for use in diagnostic procedures, unless otherwise indicated. 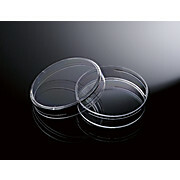 Petri Dishes 47 mm dishes for filter cultures on broth Sterilized Petri-Pad Absorbent Pads 47 mm dishes pre-loaded with sterilized absorbent pads. 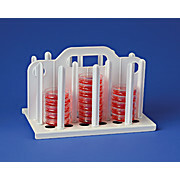 Eliminates labor and cost of hand-loading pads and minimizes contamination. 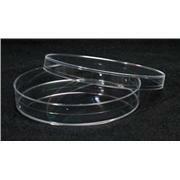 Our two-piece polystyrene Petri dishes are sold in sleeves of 20. 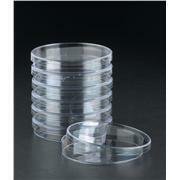 Free up benchtop space Sturdy acrylic dispenser holds up to thirty 100 mm petri dishes in two easy-to-access partitions. 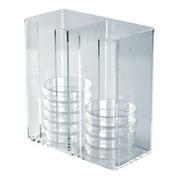 Place on the counter or mount on a wall (mounting screws included). 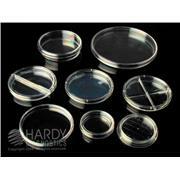 Measures 222 x 107 x 236 mm. 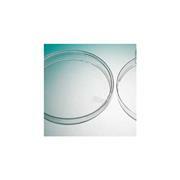 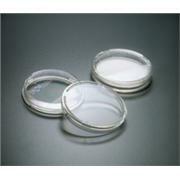 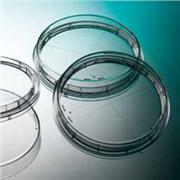 Disposable polystyrene petri dishes offer optical clarity and strength at economical prices. 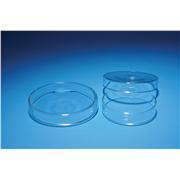 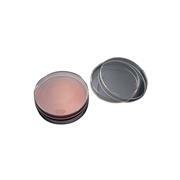 65mm dish includes a molded-in grid on the lid for easy colony counting. 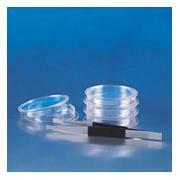 Sterilized. 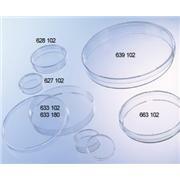 Transparent and shatterproof Autoclavable 100 mm diameter x 15 mm high Stackable, for convenience Polymethyl-pentene dishes offer superior chemical resistance and resist cell adhering.